Economics deals with society’s fundamental problems; it concerns everyone and belongs to all. 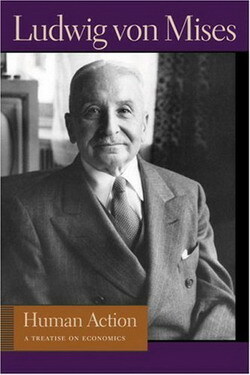 It is the main and proper study of every citizen (Ludwig von Mises, Human Action). This doctrine was not the work of Karl Marx. It had been developed long before Marx entered the scene. Its most successful propagators were not the Marxian authors, but such men as Carlyle and Ruskin, the British Fabians, the German professors and the American Institutionalists. And it is a very significant fact that the correctness of this dogma was contested only by a few economists who were very soon silenced and barred from access to the universities, the press, the leadership of political parties and, first of all, public office. Public opinion by and large accepted the condemnation of capitalism without any reservation. A second group seems to be less radical. They reject socialism no less than capitalism. They recommend a third system, which, as they say, is as far from capitalism as it is from socialism, which as a third system of society’s economic organization, stands midway between the two other systems, and while retaining the advantages of both, avoids the disadvantages inherent in each. This third system is known as the system of interventionism. In the terminology of American politics it is often referred to as the middle-of-the-road policy. What makes this third system popular with many people is the particular way they choose to look upon the problems involved. As they see it, two classes, the capitalists and entrepreneurs on the one hand and the wage earners on the other hand, are arguing about the distribution of the yield of capital and entrepreneurial activities. Both parties are claiming the whole cake for themselves. Now, suggest these mediators, let us make peace by splitting the disputed value equally between the two classes. The State as an impartial arbiter should interfere, and should curb the greed of the capitalists and assign a part of the profits to the working classes. Thus it will be possible to dethrone the moloch capitalism without enthroning the moloch of totalitarian socialism. The interventionists emphasize that they plan to retain private ownership of the means of production, entrepreneurship and market exchange. But, they go on to say, it is peremptory to prevent these capitalist institutions from spreading havoc and unfairly exploiting the majority of people. It is the duty of government to restrain, by orders and prohibitions, the greed of the propertied classes lest their acquisitiveness harm the poorer classes. Unhampered or laissez-faire capitalism is an evil. But in order to eliminate its evils, there is no need to abolish capitalism entirely. It is possible to improve the capitalist system by government interference with the actions of the capitalists and entrepreneurs. Such government regulation and regimentation of business is the only method to keep off totalitarian socialism and to salvage those features of capitalism which are worth preserving. On the ground of this philosophy, the interventionists advocate a galaxy of various measures. Let us pick out one of them, the very popular scheme of price control. The government believes that the price of a definite commodity, e.g., milk, is too high. It wants to make it possible for the poor to give their children more milk. Thus it resorts to a price ceiling and fixes the price of milk at a lower rate than that prevailing on the free market. The result is that the marginal producers of milk, those producing at the highest cost, now incur losses. As no individual farmer or businessman can go on producing at a loss, these marginal producers stop producing and selling milk on the market. They will use their cows and their skill for other more profitable purposes. They will, for example, produce butter, cheese or meat. There will be less milk available for the consumers, not more. This, or course, is contrary to the intentions of the government. It wanted to make it easier for some people to buy more milk. But, as an outcome of its interference, the supply available drops. The measure proves abortive from the very point of view of the government and the groups it was eager to favor. It brings about a state of affairs, which again, from the point of view of the government, is even less desirable than the previous state of affairs which it was designed to improve. that render the marginal producers’ business unremunerative. No branch of industry can be omitted from this all-round fixing of prices and wages and from this obligation to produce those quantities which the government wants to see produced. If some branches were to be left free out of regard for the fact that they produce only goods qualified as non-vital or even as luxuries, capital and labor would tend to flow into them and the result would be a drop in the supply of those goods, the prices of which government has fixed precisely because it considers them as indispensable for the satisfaction of the needs of the masses. But when this state of all-round control of business is attained, there can no longer be any question of a market economy. No longer do the citizens by their buying and abstention from buying determine what should be produced and how. The power to decide these matters has devolved upon the government. This is no longer capitalism; it is all-round planning by the government, it is socialism. Please read the rest of this brief but edifying essay here. Excellent – Tony Blairs third way in a nutshell. The hubris of technocrats is boundless. Everlasting byzantine bureaucracies, smothering the society they seek to control and “improve”. Yes: I’m all for it.